Voice of the Customer and the Gartner Hype Cycle – are we entering the “trough of disillusionment”? 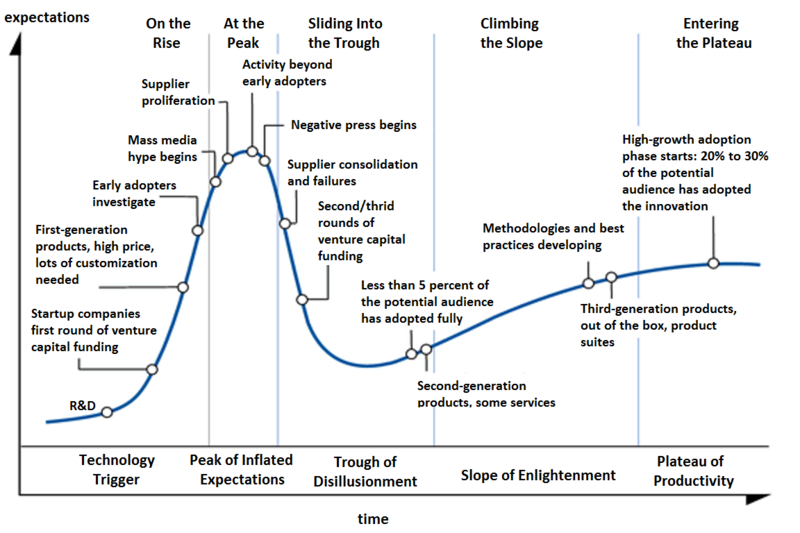 In Gartners famous hype-cycle, new industries with technology triggers go through phases beginning with hype and ending in a plateau which is preceded by a Trough of Disillusionment. Our team at is very fortunate to have been exposed to a wide array of experience, dealing with different businesses on various sizes of projects, in different sectors. Managing these projects has helped us to notice some key trends which seem to be emerging. It’s important to remember for the sake of a broader perspective, that at the time of writing this article, the VOC market is in many respects still nascent. The move from more traditional styles of research, to finding the right use of technology to automate insights and actions in businesses ( locally and internationally) is still maturing. Part of this maturation process, are the problems that comes out of the ‘Sales pitch’ and the expectations that are set by various vendors in order to sell work in what is becoming a more and more complex and competed market. Let’s examine some of these promises and pitfalls as we see them, so that when you embark on this journey you are enlightened by some of our experiences and lessons learned. “Voice of the Customer and Real-time feedback, will finally allow me to see every customers’ experience, their history and conflate this with transactional data, regress it inside out, and ultimately I will know more about my customer and his next move than he knows. VOC is going to change my business!” So what’s wrong with this statement? All vendors have the tools to regress attributes against each other and in real time; build out completely customized charts and push reports to the right people. Why then can I not achieve the Utopia above? Isn’t everyone else getting it right? Well in short our view is the answer is no, for five simple reason which I will dissect. 1) Perfect data does not exist. 5) Most VOC providers behaviour do not understand loyalty proxies and hence build meaningless models. Do you find yourself in the Trough of Disillusionment? Let us help you move towards the Slope of enlightenment.